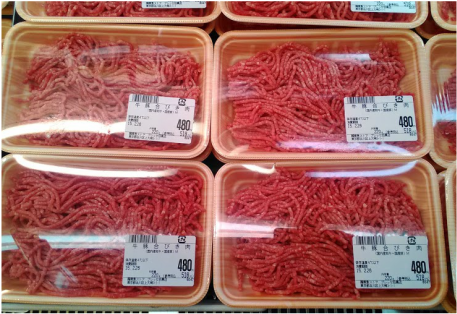 In most supermarkets, ground beef will usually be labelled "Ground Wagyu (Japanese Beef)" and sold in small packets at a premium price. 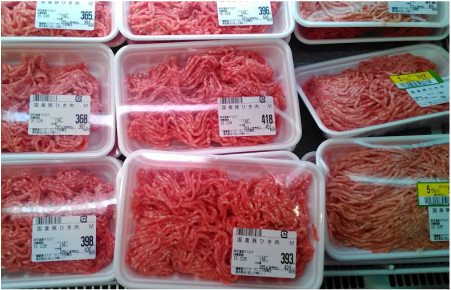 The most popular ground meat in Japan. 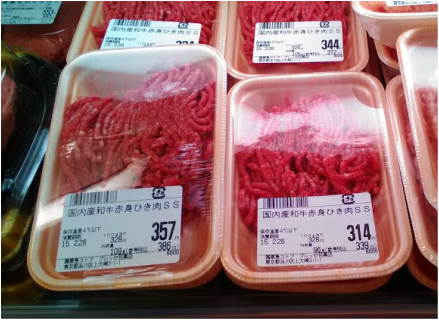 For multipurpose use - hamburger patties, meat sauces, curry etc. 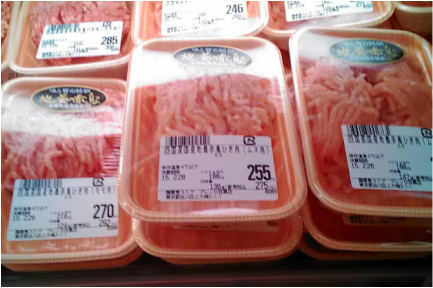 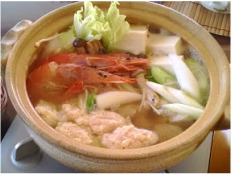 This is used in dishes such as Tsukune (Chicken Balls) for Nabe and Yakitori as well as Chicken Nuggets.